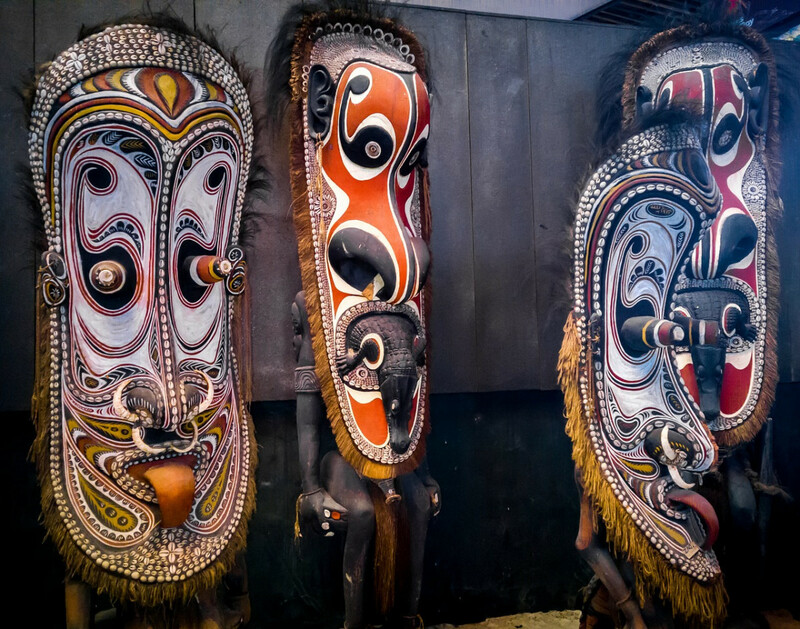 A land of thriving tribal cultures, erupting volcanoes and vast swathes of pristine mountainous rainforest, Papua New Guinea (PNG) is one of the world’s last great frontiers and remains largely untouched by mass tourism. 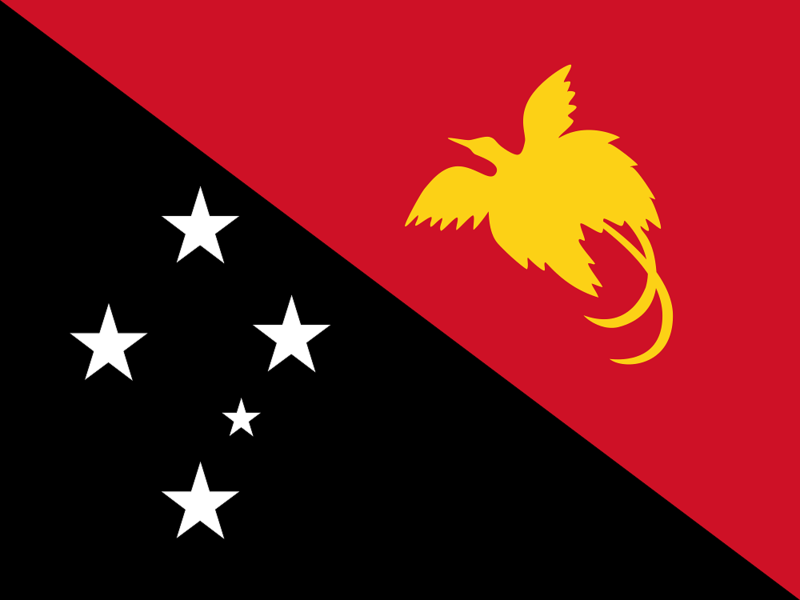 Lying just south of the equator and separated by the Torres Straights from Australia, the island nation of Papua New Guinea sits on the eastern half of Irian Jaya, with the western half sovereign territory of Indonesia. This huge shared island is part of a great arc of mountains stretching from Asia, through Indonesia and into the South Pacific. With a territory of more than 600 islands and 800 indigenous languages, PNG’s 40 provinces offer travellers magnificent natural scenery and a diversity cultural heritage un-matched anywhere else on the planet. The potential for eco-tourism in Papua New Guinea is enormous. The forests and highlands are famed for the plumage and outrageous courtship displays of the islands’ birds of paradise – two-thirds of PNG’s flora and fauna species are endemic – along with numerous species of tree kangaroo, spine-covered echidnas and huge flightless birds such as the cassowary; sights that are now possible for birdwatchers and nature-lovers and not scientific expeditions alone. If it’s said that people make a destination special, then the indigenous population of Papua New Guinea make a claim for one of the most diverse version of ‘special’. The population is one of the most heterogeneous in the world. PNG has several thousand separate communities, most with only a few hundred people; often completely divided by language, customs, and tradition, hunting methods, religious beliefs and tribal practices. Till this day, some of these communities have continued low-scale tribal conflict with their neighbours that may have been initiated hundreds of years previously. The introduction of modern weapons and modern migrants from remote highland tribes into urban areas has greatly magnified the impact of this lawlessness that tourists need to be aware and vigilant to. There is a high level of serious crime, particularly in urban areas, while law and order is poor or very poor in many parts of the country. Most reputable tourism operators will specify that tourists pay close attention to their personal security, particularly after dark, and closely monitor the media for possible new security risks. Outbreaks of tribal fighting can occur regularly and may escalate quickly and therefore large crowds and public gatherings should generally be avoided as they may turn violent. So if PNG has ever whetted your appetite for travel and adventure, take out comprehensive travel and medical insurance before you leave home and experience what none of your friends or family will ever see or do – trekking remote jungle tracks, cruising the mighty Sepik river, surfing the waves of New Ireland, fishing around the fjords of Tufi, bird watching the world-famous birds of paradise in the Highlands, or diving on the coral reef coastline. battleface travel insurance is for people who travel and work in challenging or remote areas and conflict zones. face interviews connect you with people in the field: journalists, photographers, explorers, adventure travellers and solo wanderers. face contributors send in dispatches from all over the world, covering the latest safety and security issues including kidnap situations, riots, protests and cyber issues.